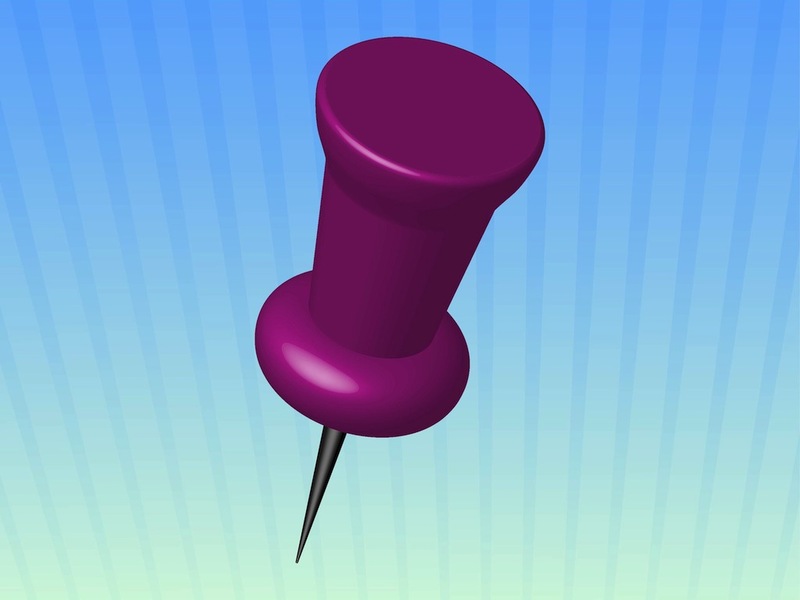 Stationery vector graphics of a realistic push pin. Three-dimensional image of the plastic top part and the shiny metallic nail with realistic surfaces. Free vector illustration to use in all your company logos, application icons, stickers, decals, buttons and document decorations. Download realistic stationery vector. Tags: 3D, Detailed, Metal, Office Supplies, Plastic, Shiny, Stationery.